The Forensic Oral Pathology Journal - FOPJ (eISSN in process) publishes scientific papers on well designed and controlled original research involving forensic oral pathology, reports on unusual and interesting case presentations peer-reviewed. The term “Forensic Oral Pathology” defines the speciality of dentistry studyng the identification, documentation, recovering and saving of all signs in oral soft and hard tissues to making available the legal evidence, more integral and comprehensive than the recognized buf injusticely delimitated procedure of dental identification*. 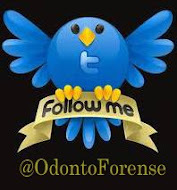 The purpose of the ejournal is to stimulate debate on and development of ideas and methods in forensic odontology and to explore the oral findings in the interest of justice, especially in Ibero America.